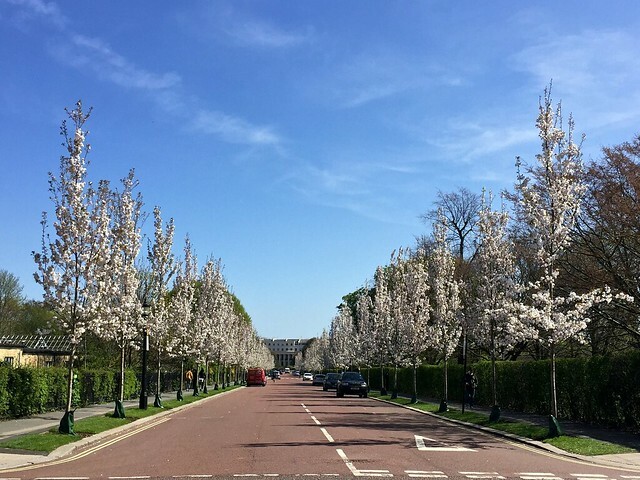 Last year there was no cherry blossom on the famous cherry blossom avenue in Regent’s Park. The trees had been cut down before they had a chance to bloom, and Chester Avenue was a sad sight that spring. But the old trees have given way to new ones which are now flowering for the first time. Of course I’ve been to take a look. 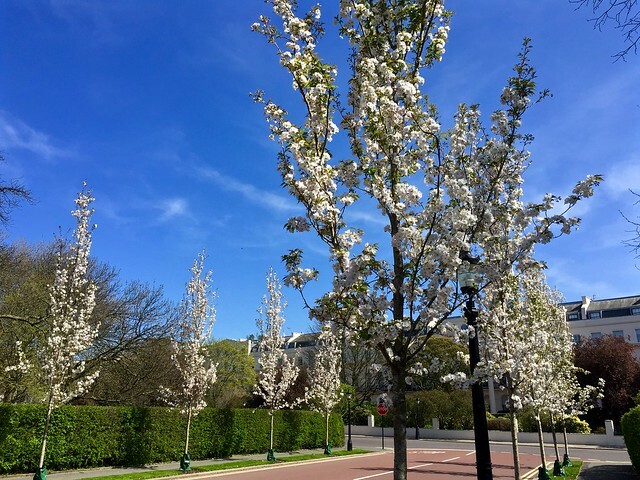 The previous trees were Prunus Kanzan; low spreading trees with deep pink blossom – you can see what they used to look like in my post about the avenue last year. They were planted in 1978 and had become diseased – hence the drastic action. 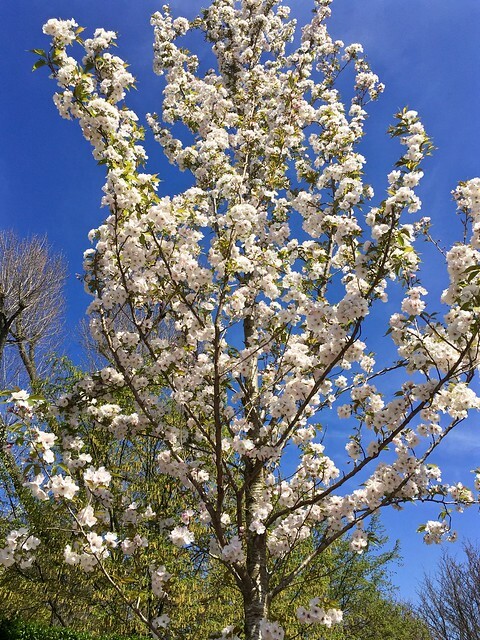 They’ve been replaced with a different variety, a new kind of cherry tree grown in Belgium called Sunset Boulevard. They’re taller and more upright than the old trees so there’s less chance of cars and vans hitting the branches. 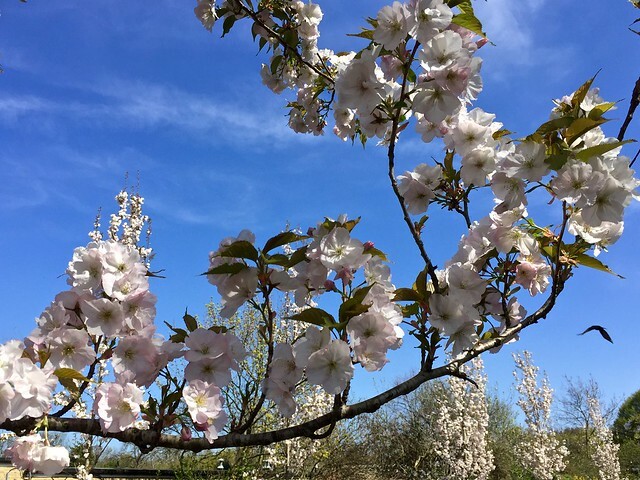 They have large pale pink blossoms that are reminiscent of the Somei-Yoshino blossom that you see all over Japan, though the blooms are about twice the size of Japanese blossom. At the moment the trees have a spindly nervous look, as though they’re not quite sure what they’re doing there. But as they grow and spread over the years they will turn into something magnificent. The Royal Parks have taken the opportunity to plant more trees, a hundred of them, so the sensation of an avenue of trees is much stronger. 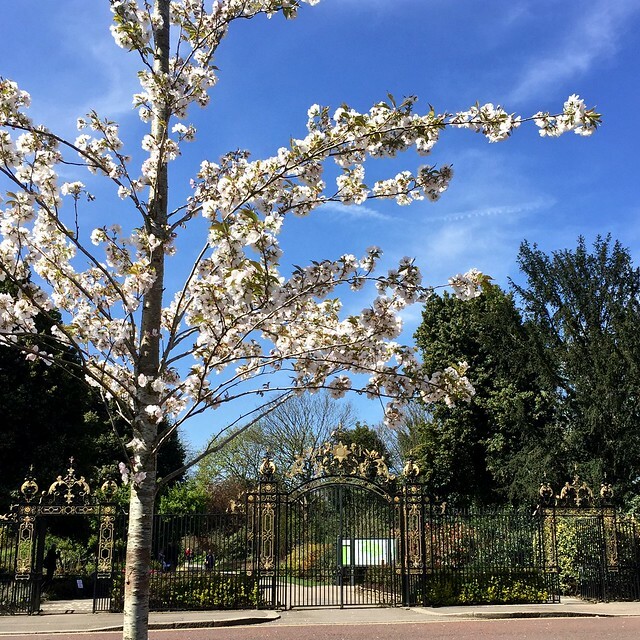 The Royal Parks Foundation is still fundraising to pay for the trees, which cost a whopping £1776 each, and to fund their future care. Visit their fundraising page to make a donation. 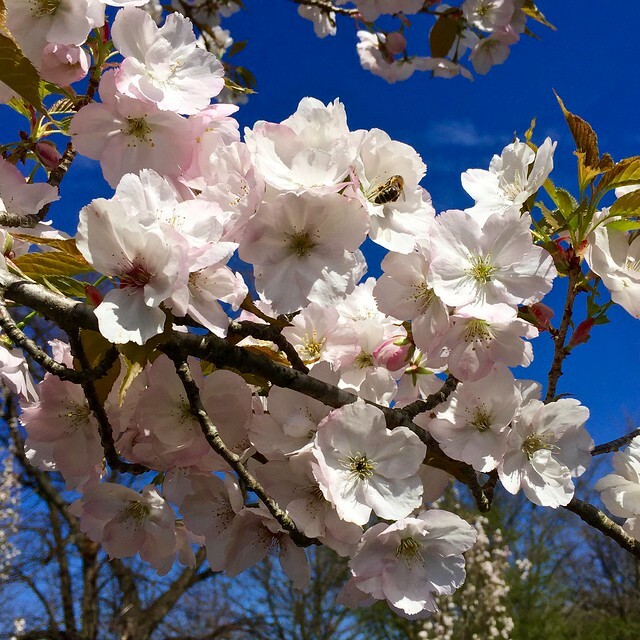 This entry was posted in Cherry Blossom and tagged blossom, flowers, gardens, London, nature, plants, Prunus Sunset Boulevard, Regent's Park by Fran. Bookmark the permalink. You’re very kind. I use an iPhone. Lovely – you definitely picked the right day to go, before London turned dark, grey and wet again. Yes, it was the one day the forecast said there’d be sunshine, and they were right!